A New Mexico blanket plugging bond is required from each person, firm, corporation or association [who] that operates any oil, gas or service well within the state New Mexico as a condition precedent to drilling or producing the well. The New Mexico plugging bond must run to the benefit of the state and be conditioned that the well(s) be plugged and abandoned in compliance with the rules and statutes regulation petroleum exploration activities. The State Oil Conservation Division establishes categories of bonding. Those categories include a blanket plugging bond in an amount not to exceed fifty thousand dollars ($50,000) and one-well plugging bond in an amount determined sufficient to reasonably pay the cost of plugging the wells covered by the bond. In establishing categories of New Mexico plugging bond, the Division must consider the depth of the well involved, the length of time since the well was produced, the cost of plugging similar wells and such other factors as the Division deems relevant. In ADDITION to the blanket plugging bond, the Division may require a one-well financial assurance on any well that has been held in a temporarily abandoned status for more than two years. The New Mexico plugging bond obligation is not cancelable, remaining in full force and effect until the Division is satisfied the conditions of the financial assurance have been fully performed. Also, the surety bond has a forfeiture provision, pursuant to Section 70-2-14 NMSA 1978, “If any of the requirements of the Oil and Gas Act or the rules promulgated pursuant to that act have not been complied with, the Division, after notice and hearing, may order any well plugged and abandoned by the operator or the New Mexico blanket plugging bond surety or both in accordance with Division rules. If the order is not complied with in the time period set out in the order, the financial assurance shall be forfeited. This particular type of obligation is very unattractive to surety companies because of its long term, non-cancelable and forfeiture terms. 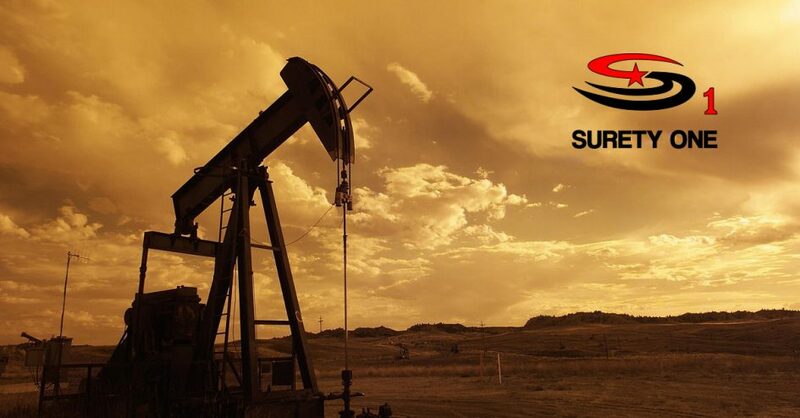 Surety One, Inc., New Mexico surety leader is a premier resource for any operation requiring reclamation bonding. We offer reclamation bond capacity for oil, coal, uranium, metal mining, and hydraulic fracturing “fracking”. We will write these for ALL state departments of environmental protection, Railroad Commission of Texas, and federal Bureau of Land Management. Visit us at www.ReclamationBonds.com, call (787) 333-0222 or (800) 373-2804, or email Underwriting@SuretyOne.com for a New Mexico plugging bond application or further information regarding your surety needs.